In a era of diminishing government transparency, the investigative news site Pro Publica is giving a shout-out to Connecticut and other states for their openness in providing statistics on consumer interest in health care exchanges set up as part of Obamacare. While federal officials appear reluctant to talk numbers, several states are providing an open window on the progress of the exchanges, which are prompting lots of consumer research, but still relatively small numbers of enrollees. By contrast, Ornstein writes, “Those interested in what transparency looks like can check the states.” In addition to Connecticut, the Pro Publica article cites transparency initiatives in Kentucky, Maryland and Washington state. 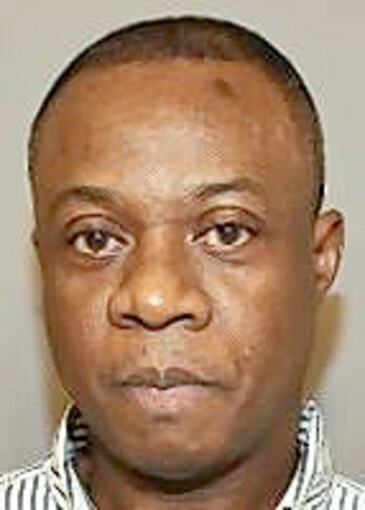 Suspended physician Edwin Njoku is picking a jury this week in his trial on charges he sexually assaulted a patient at his East Hartford practice – one of several women who have come forward to say they were abused by Njoku. Now, newly available prescription data sheds light on another area of Njoku’s practice: the exceptionally high number of narcotic prescriptions written for his Medicare patients. 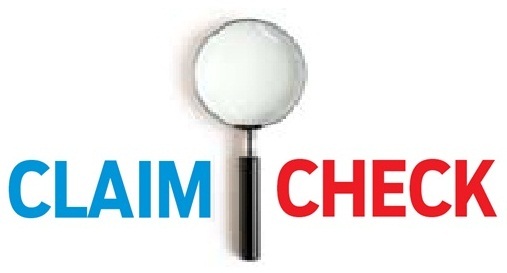 Federal data compiled by the investigative news site Pro Publica show that among at least 945 Connecticut internists who wrote Medicare-paid prescriptions in 2010, Njoku ranked No. 1 in the percentage of patients who were prescribed narcotics. Across the state, internists wrote narcotic prescriptions for 16 percent of their Medicare patients, the data show. With Njoku, the figure was 48 percent – three times the statewide average and nine percentage points higher than his nearest peer. While cholesterol and blood-pressure pills were generally the medications most frequently dispensed by Connecticut internists, Njoku’s top-prescribed drugs included a number of painkillers and muscle relaxants. For example, oxycodone-acetaminophen, a painkiller associated with significant abuse across the country, was the third most-frequently prescribed drug for Njoku’s 278 Medicare patients. For internists as a whole, the painkiller was the 54th most frequently prescribed drug for Medicare patients. Njoku’s attorney, Norman Pattis, said that without reviewing the data, he and his client could not comment on Njoku’s prescribing patterns. Painkillers paid for with Medicare dollars feature in at least one allegation against Njoku. In a lawsuit filed in February 2012, a patient alleges that Njoku gave her anti-depressants and painkillers, including Oxycodone, so she would “become reliant upon his services when he knew (or should have known) that such should not be combined and that such are addictive in nature,” according to the civil complaint. The data collected by Pro Publica includes only prescriptions written for patients participating in the Medicare’s prescription drug program, and it is unclear if those patients composed a significant portion of Njoku’s practice. But the data do show that the demographic makeup of Njoku’s Medicare patients was unusual. Medicare primarily pays health care costs for elderly patients, but also serves those who are disabled. Across the state, 83 percent of internists’s Medicare patients were over 65. But for Njoku, the figure was 41 percent, meaning most of his Medicare patients were not elderly. Pattis declined comment on that anomaly as well. Njoku, 53, was first arrested in January 2012 and charged with sexually assaulting three women during office visits. Four months later, he was arrested again and accused of sexually assaulting three more women. Njoku also faces larceny charges for allegedly billing Medicaid for an office visit during which a patient said she was sexually assaulted. Individuals with severe developmental disabilities often require specialized care to address specific medical and behavioral issues. But every year, dozens in Connecticut are placed in nursing homes designed to serve a different population. It is a situation that both state officials and advocates oppose but it continues, sometimes with tragic consequences. The Courant today wraps up a three-day investigation into neglect and abuse of developmentally disabled adults with a look at deaths in nursing homes. In addition to cases of inadequate care, the story also reveals that nursing homes sometimes fail to notify state officials when a resident with intellectual disabilities dies, which can hinder efforts to determine whether there were deficiencies in treatment. The series, which began Sunday, also included a broad look at deaths among the developmentally disabled who were receiving state services – revealing that from 2004 to 2010, neglect was cited in investigations of 76 deaths – and a story on physical and sexual abuse of the disabled. Details on those who died are presented on a timeline of the 76 deaths and several individual victims were profiled. Monday, U.S. Senator Chris Murphy responded to the series, calling for a federal investigation into deaths nationwide. In East Lyme, a resident of a group home for the developmentally disabled was sexually assaulted by a worker for more than a year by before the assaults came to light, according to police. In East Hartford, a mentally frail woman was kicked, whipped with a belt and dragged across the floor by her hair. And in Danielson, a group home worker admitted sexually assaulting two disabled women for more than a decade before the abuse was discovered. 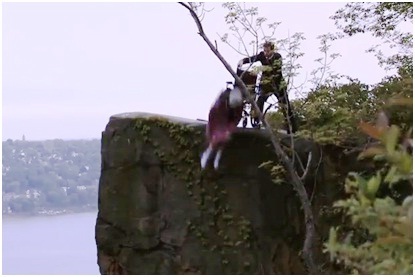 They are cases at the extremes of betrayal and abuse, but advocates say those with developmental disabilities in Connecticut and across the country are significantly more vulnerable to violence and abuse. And when they are victimized, the crimes are less likely to be reported to police, and the victims are less likely to be believed by those in the criminal justice system. In Day 2 of a series on mistreatment of developmentally disabled adults, the Courant explores physical and sexual violence against those with intellectual disabilities. “We are seeing a huge, huge problem in the country with abuse,” one advocate says. Read today’s story here. And access the entire series, which continues Tuesday, here. 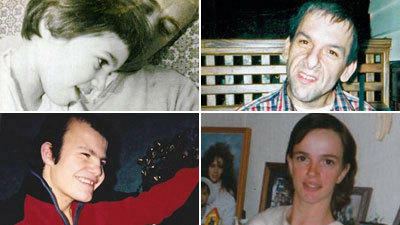 Courant/Frontline Investigation: Who Was Adam Lanza? We may spend years trying to understand the troubled mind of Adam Lanza. But just two months after his deadly attack on the Sandy Hook Elementary School, my colleagues Alaine Griffin and Josh Kovner have produced an unmatched examination of Lanza’s life and his relationship to his protective mother, Nancy Lanza, whom he also killed. That story appears online and in Sunday’s Courant. Griffin and Kovner, joined by the PBS investigative news show Frontline, spent more than a month tracking down those who knew the Lanzas, along with documents that help illuminate Adam Lanza’s bizarre behavior and his mother’s efforts, for better or worse, to keep him stable. The Courant’s in-depth coverage of the Sandy Hook attack continues Tuesday with a package of stories on the gun-control debate spawned by the Dec. 14 shootings. Tuesday night, Frontline will devote an hour to the Courant’s reporting. In her first run for the Senate two years ago, polls showed Republican Linda McMahon fared particularly poorly with women, trailing opponent Richard Blumenthal by as much as 25 points. That gap has virtually vanished this time around, which likely explains a new ad from Democrat Chris Murphy, taking shots at McMahon’s business and political relationship with women. Flip on the TV these days and it seems like every channel is airing the fierce cage match between Linda McMahon and Chris Murphy. It remains to be seen if either candidate is bruised by the slugfest, but there’s little question that accuracy in political ads ha s taken a few body slams. In this column, we’ll break down a McMahon spot that revisits earlier attacks on Murphy’s attendance record at committee hearings and accuses the three-term congressman of voting to cut Medicare and raise taxes on the middle class. While Chris Murphy and Linda McMahon ran away with their respective primary wins in this year’s U.S. Senate race, the general election promises to be much, much closer. And if history is a guide, that means we may see plenty of ads on the airwaves for the next couple months that skate mighty close to – and occasionally over – the edge of accuracy. That, anyway, is the case with the latest ad from Murphy, the Democratic candidate, which stretches language to make points about McMahon’s business record and political platform. The ad, titled “McMahon’s WWE Record Exposed,” begins with a pointed look at McMahon’s tenure as CEO of World Wrestling Entertainment, the successful if tacky enterprise that made her a multi-millionaire. 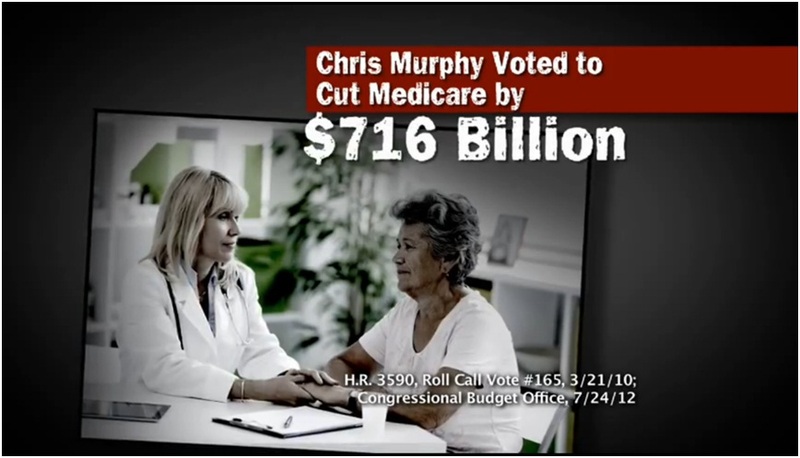 But rather than focusing on the crass programming as past political foes have, Murphy takes aim at McMahon’s business decisions, saying her plan for the company included using offshore bank accounts (which the ad illustrates with an image of palm trees on a beach) in order to “shift profits overseas to avoid U.S. taxes.” The ad also says McMahon had a plan to deny employees health and disability insurance coverage to boost profits.